Ke'la Ballard is dynamic point guard who is capable of controlling the game on both ends of the court. 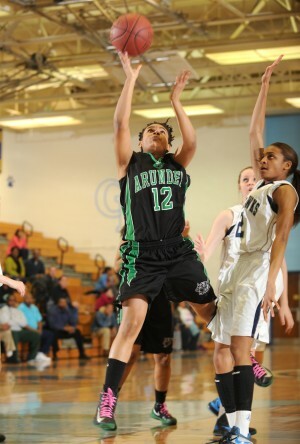 Arundel's senior (2013) standout averaged 15 points, 3 rebounds and 3 assists per game. I was impressed as I watched her box out much bigger players and drive fearlessly to the basket. Ms. Ballard answered a few questions for 695Hoops.com. Ke'la:I was around 12, in the 6th grade. I started playing because my parents both showed interest in wanting me to play and I also had a few friends at the time who played. 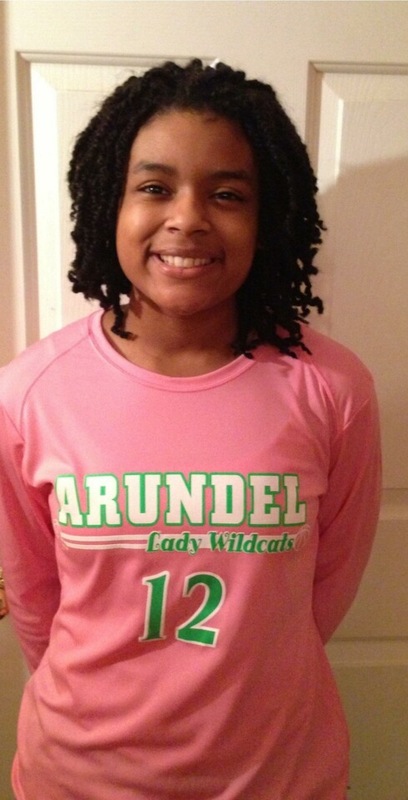 Ke'la: Yes, I played soccer most of my life until the spring of 8th grade. Ke'la: Odenton, Crofton and Annapolis. Ke'la: I love spending time with my family and friends because they're all so funny and I love to laugh. Ke'la: I want to add better ball handling skills. I want to feel as comfortable as Chris Paul looks when the ball is in his hands. Ke'la: Maryland Lady Shooting Stars, Maryland Hurricanes, Blue Star and MYBA. Ke'la: Any bus ride I take with my team after a game. We're always singing and laughing about something someone did or said on the court. Ke'la: I am comfortable playing point guard. Ke'la: Rap, R&B and slow jams. I like whatever sounds good. Ke'la: Rajon Rondo. I like his basketball IQ. He knows the game and runs the point well.